The American Shorthair is one of the most common breeds of cat found in the United States. It’s easygoing personality, lovable nature and ability to get along well with children has been a major reason for this popularity, and it can be found in every corner of the country. But what is the history of the American Shorthair? 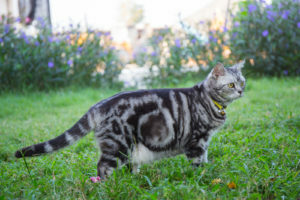 Here we will discuss how this breed found it’s way to the New World, and how it thrived and adapted to become the American Shorthair we know and love.